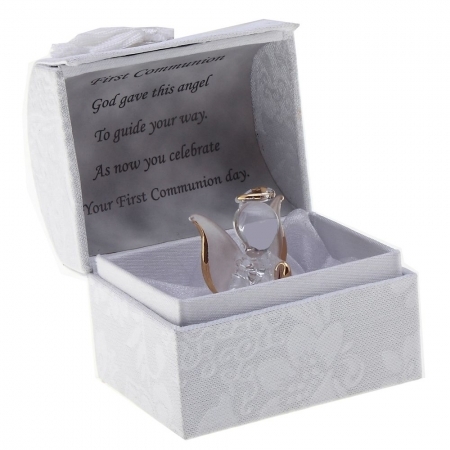 Very pretty First Communion gift for both boys and girls receiving their First Holy Communion. The Angel is hand sculpted and is holding a scroll. Her wings, Halo and Scroll are plated with 22K gold. 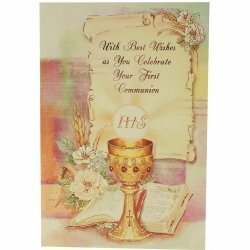 The inscription says "First Communion. God gave this angle to guide your way. 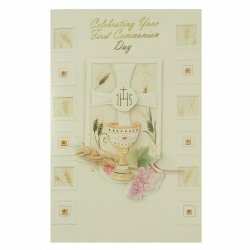 As now you celebrate Your First Communion Day.". 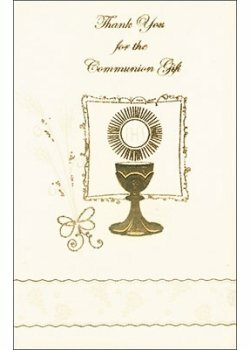 Size 7cm x 9cm x 9cm (W x D x H).